Facebook Debate: Does Odisha need a new Political Alternative? Does Odisha need a new political alternative? Or, BJP and Congress would be able to fill up the vacuum? Tanmay Dash: I think Odisha needs a change…BJP is a good option….Let’s hope for better. Sunny Speaks: Now, it’s too late for a new political outfit. People won’t accept it easily. Other political leaders are tried and tested while AAP has been a non-starter. Congress is sinking. So, BJP is the only alternative. But, they must shed complacency and dependency on Modi Factor. Sambit Nanda: People of Odisha seriously need a new political forum containing leaders like Baijayant ‘Jay’ Panda, Bijoy Mohapatra, Dilip Ray, Niranjan Pattnaik, Braja Kishore Tripathy and alike leaders. Nirmal Panda: In no circumstances BJP could be an alternative to BJD in odisha. Gyan Ranjan: Formation of one more regional party by splitter group from BJD will harm the party and help BJP to get majority. I think it’s in the pipeline. Naveen Patnaik should focus on unification of Biju Parivar, which may help him retain power. He may form a core committee taking few Senior and young leaders to bring unity and march ahead. Swastik Suman Satapathy: Odisha doesn’t need a new political alternative. Even after ruling for 18 years, Naveen Patnaik remains unchallenged. BJP is growing but it is not what it should have been after a stunning result in Panchayat elections. But for now, if Odisha people decide to have a change, they will go for BJP, and not any other political alternative. The signs are clearly visible. If one leader is capable of leading a political alternative, he/she would not go for a new party. Rather he/she would go for BJP. Jagadish Pradhan: Yes, Odisha need a political alternative, but the person who will be better than Naveen patnaik in every sector can be an alternative, not any normal leader. Singh Vijaya: Odisha needs young modern blood to change the scenario to really rock. Change is inevitable. 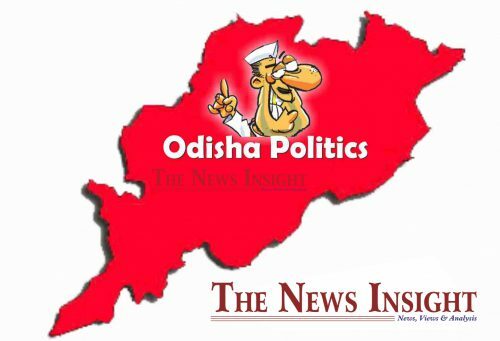 Jagannath Satapathy: In the current scenario, BJD has maintained its vote share and BJP simultaneously increasing presence at the cost of sinking congress, nevertheless to mention that any miracle like change of guard to Niranjan Pattnaik or 2018 favorable state election fight result in Karnataka, Madhya Pradesh, Chhattisgarh, may stimulate the Grand old party of India, but the percentage is negligible, as congress high command may hesitate to displease Naveen. Secondly, although BJP is strengthening itself but, doubtful to convert it into seats, thanks to their party with all time differences and disagree among leaders, particularly one man show and not taking the potential into their fold, and ignoring own strengths. But again it’s BJD although facing diminishing returns, adding upon running horses from different parties, irrespective of their ideological differences, which kept them ahead. Again it’s the time which will decide the dimension after Bijepur results declared. Souranshu Prasad Sahoo: Yes, Odisha needs a political alternative… though Naveen Patnaik has no anti incumbency effect after a long 18 year of governance, but transfer of power and change is good for the society and public welfare… it’s a time tested fact…So, Odisha should give a chance to other parties to deliver so that everyone will be able to judge the performance of political parties with respect to development, progress, welfare social schemes and social harmony, peace…. Meghana Sahoo: No, not at all. Naveen Patnaik is the best leader. Odisha wants BJD Government only. Suresh Dash: No further political party is needed. Existing 3 strong parties are enough. Next election will be won by BJD. Mahendra Adhikari: There is no alternative. Only BJD. Simanchala Mishra: Change of rulers is the very essence of democracy. May be BJD under Naveen Patnaik is invincible at the moment and his popularity is enough to win another election. But people have to think if someone else can dispense things better than him. As far alternative apart from Cong & BJP is concerned, it is still a day dream in our state. Under whom will leaders come together? Is there any towering personality in our state who has a mass appeal? Let us be content with BJD, BJP & Congress. We in Odisha are not worried enough for our rulers as long as we get freebies. Natabar Panda: There being no alternative to BJD, let the party rule for another five years. Please refer to the governments in West Bengal & Gujarat. Hence, there is no necessity at present for a change. Ashish Biswal: I think only BJP is the alternative to BJD.